What emotions are they feeling? Could they follow the plot? Which characters do they love? Which do they hate? Are they passionate viewers of the show? Does the story get them excited, frustrated or sad? Did the ending shock and surprise them? Can they not wait for the next episode to run? For the purpose of our analysis, we chose three series from Esquire’s best shows of summer 2018 to see how they stack up against each other: Westworld, Claws, and Handmaid’s Tale. We then took these shows and analyzed them in our social listening tool to get better insights than just ratings and reviews. *** Hulu doesn’t release ratings and viewership numbers. However, when the streaming service announced that season 3 of Handmaid’s Tale was confirmed to be in production, they also revealed that Season 2 doubled its audience from season 1. Looking at the above data, and lack of, you can’t get the full story. As online streaming becomes exponentially popular, it’s not conducive to try to gauge the success of shows just by viewership alone. According to Evan Dunn of Transform, a leading audience insights platform for media and entertainment companies, relying simply on ratings doesn’t help us understand how people think and feel about a series. Dunn says that while ratings are the accepted standard for viewership, and research firms like IPSOS provide Awareness and Intent to View, these approaches lack the scale and insight required to understand how an audience truly feels about a series. It’s true. Ratings usually just provide us with numbers. And numbers don’t provide us any inside look into the way people feel when they view programming. “This is especially important in an age of digital viewing, where viewership ratings fail to account for Netflix and Hulu audiences, or any other digital audience,” Dunn said. So, we need to look elsewhere. One suggestion: using social intelligence to research and uncover audience voices from all over the web. 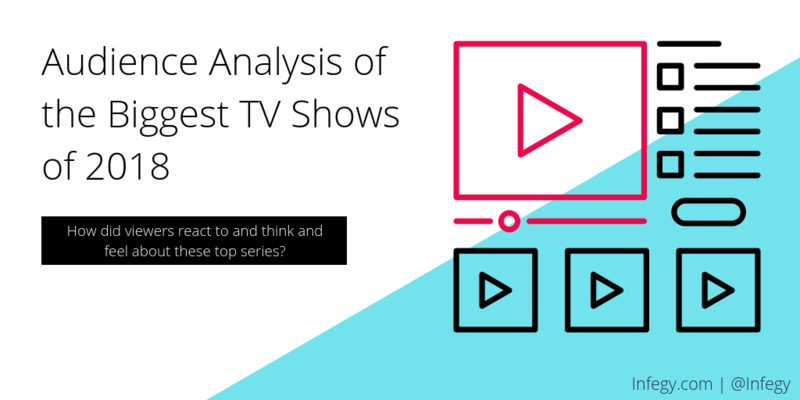 Let’s look at what the data says about the shows in our analysis. The table above summarizes the emotions, linguistic metrics and themes we explore in our analysis, all of which can be found in Infegy’s social listening platform. What may go unnoticed when showrunners and studios are trying to gauge audience reaction to their programming is the types of emotions and psychological responses that people have when viewing the content. While focus groups and surveys can help get a small group’s opinions about what they saw and how they feel, it’s difficult to get a good read on the true population of global audiences without a representative sample. This is where analyzing billions of online, unsolicited conversations will come in handy. 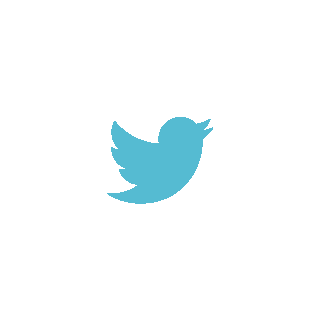 People talk online: on social media, on blogs, forums, review sites and comment sections. Using these mediums, they’ll tell you how they think and feel without being prompted. By analyzing the conversational data on the relevant topics to you, you’re getting a much more accurate reflection of the reaction. The chart shows the data points for several emotions and themes that can be used to examine those online conversations. This helps us measure how passionate viewers discussed the show, which percentages of the dialog expressed joy, fear or intent to purchase, etc. Next, we’ll take a look at the analysis of the three series and dig into to the consumer reactions that can give you much more insight than traditional methods. With its second season coming to a close - and a third on the way next year - Hulu’s award-winning The Handmaid’s Tale proves that audience reactions can be difficult to parse out and analyze. The show gives us some of the most polarizing data points out there, not because people dislike it, but instead mostly because of its devastating storyline. 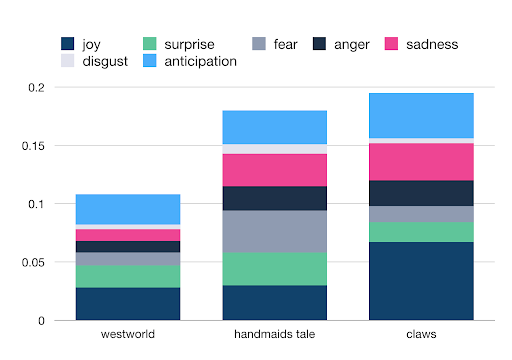 What we discovered through our analysis is that viewers of The Handmaid’s Tale’s experienced a huge range of emotions and feelings about show over the course of its 13-episode season. Due to its disturbing and unsettling subject matter, conversations around the show varied. We found that, out of the series that we analyzed, The Handmaid’s Tale elicited the most passionate conversations from consumers online. It achieved a passion score of 63 in Infegy Atlas, which considers linguistic cues like exclamation points, intense language, and writing in all-caps, among others. Just for context, we rarely see passion scores this high around here. Consumer conversations ranged from being ecstatic about how well the series is made to being shocked by the complex and difficult scenes and plot lines. Whatever people had to say about the show online, they were doing so emphatically, and in great numbers (with 123,000 total mentions just in the two month span it ran). 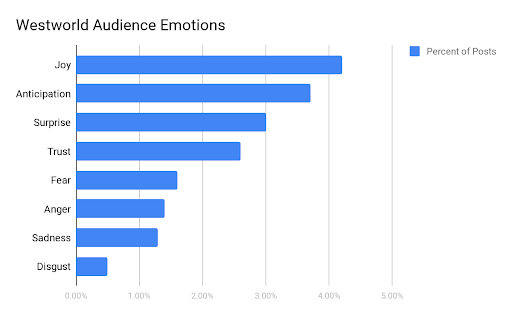 Due to its often grisly content, The Handmaid’s Tale also garnered the most fear from its audience, with the emotion being expressed in 3.6% of conversations about the show. With these data, show writers and studio heads would see how the dark content of the show, which parallels contemporary issues, strikes a chord with its audience. Everywhere you look, HBO’s Westworld seems to get rave reviews. It’s also one of the most watched series of 2018. No one can deny the popularity of the reboot of the Michael Crichton sci-fi western. But is there more to the story than simply whether or not it is well-liked by critics and viewed heavily by audiences? The millions of online voices will tell you there is. The series garnered the highest intent-to-view rating in our research. Among other phrases, fans mentioned that they “planned to watch” or “couldn’t wait to watch” new episodes of HBO’s hit series in 5% of all posts, compared to 4.5% of posts for The Handmaid’s Tale and 3.7% for TNT’s Claws (which we’ll look at next). Looking at the data on “anticipation” in our results, you can see it was one of the top expressed emotions in those online user posts. This means people were excited about the show before they were able to watch and react to it. 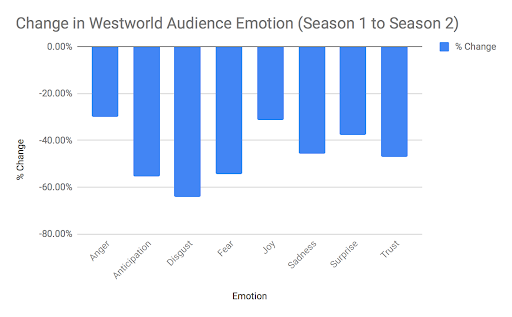 Westworld also received a high index of the emotion “surprise.” Well known for its plot twists and crazy episode endings, Westworld dialed up its surprises for the audiences in season 2. But when you seek to challenge viewers with existential and thought-provoking storylines, you also risk leaving them confused. The sophomore season of the series appears to have done just that. 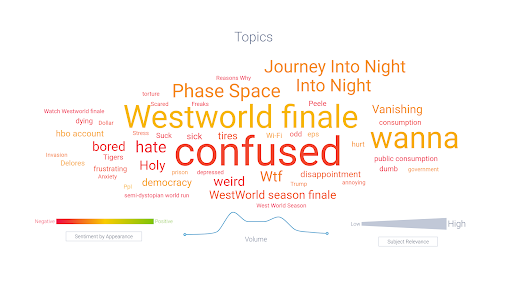 Linguistics analysis shows that online authors discussed the conundrum they experienced whilst watching Westworld. After ‘season finale’, a phrase that appeared more often than any other phrase across online conversations about the series, consumers mentioned ‘confused’ most often. If you look at online reviews of the series directly, you’ll find one like this. A one-star review, with the commenter stating that they loved the first season, but the second season was too confusing. Using data found within a social listening tool like intent-to-view and mentions of audience confusion, streaming service analysts or executives could anticipate changes in viewership prior to the release of a new season or series, or engage their editors and showrunners to improve the clarity of the plot and content of a series. Claws, TNT’s dark comedy about nail salon owners turned money launderers, drives emotions from its audiences, and gets people talking online. 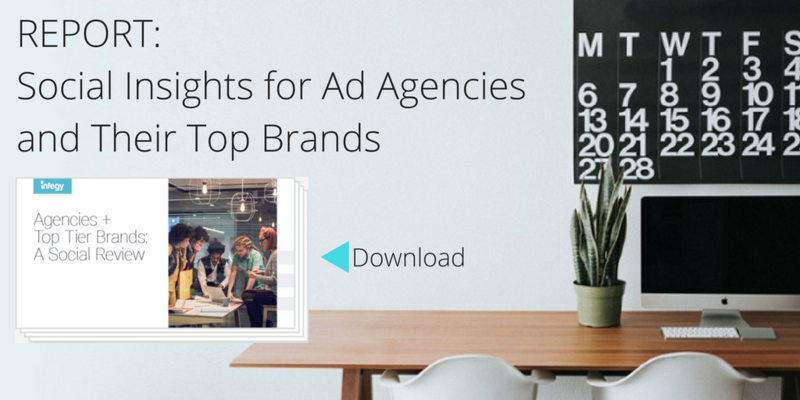 The social listening data on the series gave us a few surprises during our research that proves it had a successful summer in 2018. According to viewership reports, the TNT primetime show garnered the fewest viewers out of the 3 that we analyzed. It also just barely has the lowest IMDb score. But doing deeper research shows that the network has itself a hit. Claws drove the most joy from consumers talking about the show online in our analysis. Against online conversations about Westworld and The Handmaid’s Tale, 6.7% of posts about Claws contained language associated with the emotion. Combined with high anticipation theme numbers and a higher intent-to-view rating than Handmaid’s provides us insight into the audience’s love for the show. Mentions of the show’s humor also registered highly in conversations about Claws. Claws had the highest percentage of conversations discussing the humor of the show, at 8.2% of conversations - something studio execs would hope to see from their audience for any comedy. This tells us that, despite the more market saturation and popularity of Handmaid’s and Westworld, it’s Claws that has the most impact on audience reactions. By analyzing how well it evokes people’s emotions, this tells you more about how effective the program is at captivating its audiences, leaving them wanting more. TNT Network could incorporate this into their understanding of the success thereof for Claws instead of basing it solely on ratings and reviews. If you’re going to get the most constructive feedback from the right audiences, you’ll need an intelligent market research tool that can sift through all the noise and find the information you need. Researchers need to dig further to find adequate audience feedback on shows, plotlines, characters and even how they market them in advertising. Social listening tools can help organizations, like entertainment brands, research and uncover new or hidden trends by analyzing the billions of online conversations from people all over the world and turning them into actionable insight. 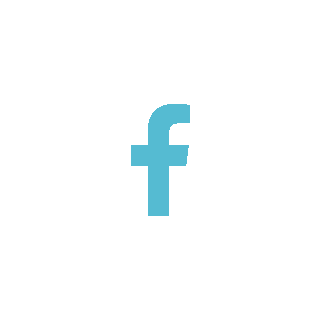 Social listening data can be leveraged for any number of reasons, helping teams measure performance, understand target audiences and make key business decisions. In an online universe filled with online reviews, over reliance on just the star ratings won’t give you the answers you need. There are many mostly positive 4-star reviews out there that also mention their disdain for a character or how an episode ended. You need data that can analyze all the unstructured text and give you more details than just positive or negative overall sentiment. By utilizing the various metrics and observations found within social listening research, you can find real-world understanding and context for the overall audience experience, providing you with the most authentic and accurate results you can get anywhere. 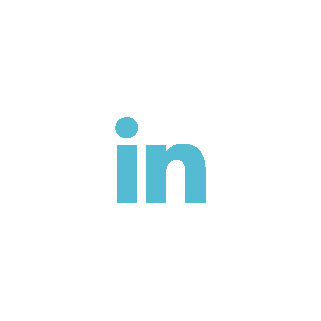 To learn more about the social listening text analysis capabilities of Infegy Atlas, click here to get a personalized demo with our team today.